When in Halifax, Nova Scotia, it seems almost a crime to not visit a seafood shack-type establishment. Would that be considered a touristy thing to do? We seemed to addressed this with the Mike's Pastry post in Boston. Well, we didn't end up eating lobster with a mallet out on a picnic table. 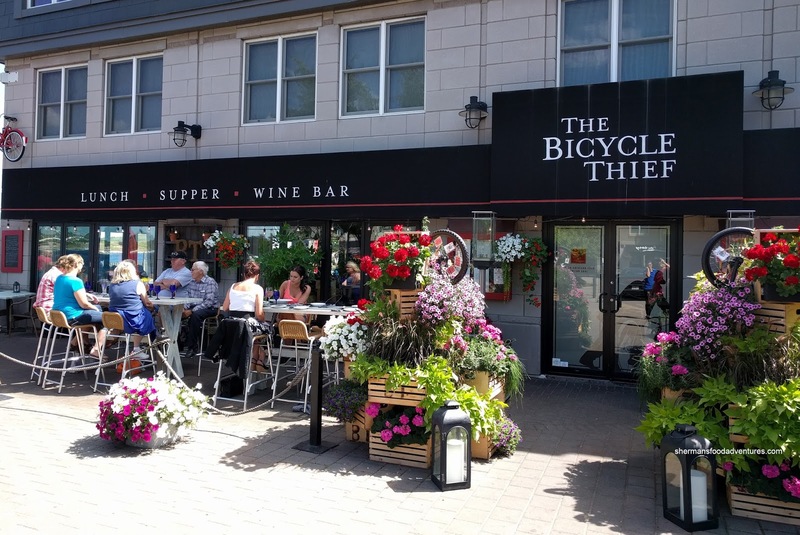 Rather, we went to the Bicycle Thief right along the waterfront in Halifax. 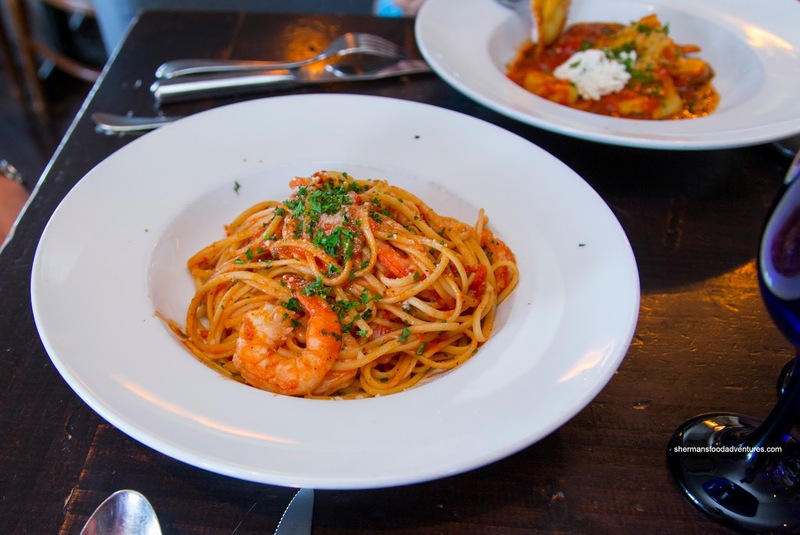 Not only is it not a seafood restaurant per se, it is more of a pasta place. But it came highly recommended by more than one person. 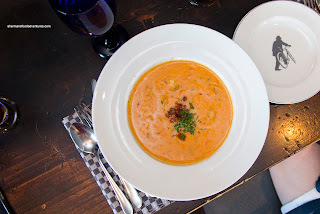 We started off with the Lobster Chowder which was pretty pricey for $14.00. When it arrived, the portion size was fairly large as the bowl was pretty deep. It was rich and creamy with a little tomato tang. Interestingly, it was an excellent creamy vegetable soup with generous bits of celery, carrots and onion (which weren’t mushy). However, it didn’t taste like a lobster chowder. In fact, there was very little in the way of lobster meat at all. 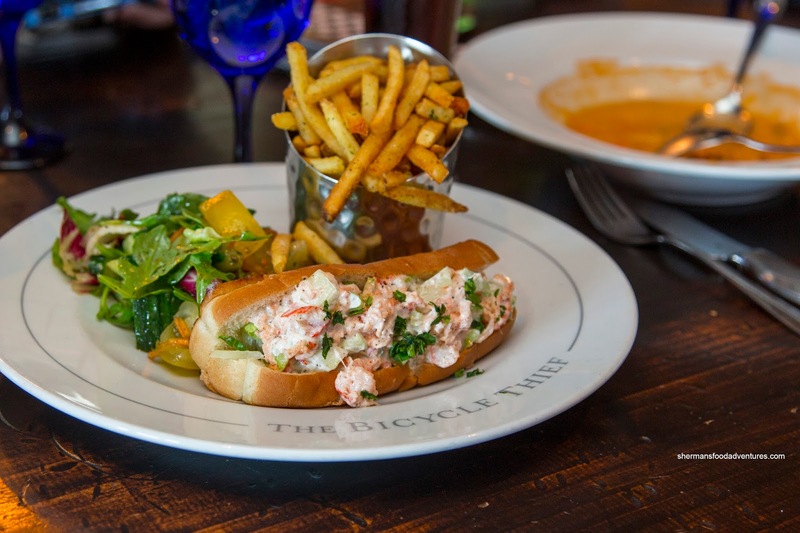 Moving onto my 6th Lobster Roll, I shared one with Elaine. This one was very different than the ones I’ve had so far as it was a mix of lobster meat, celery, parsley and mayo. Hence there was much more texture and crunch. I’m not a huge fan of this type of lobster roll as I find the lobster gets lost. In this case, it was overwhelmed by the amount of salt used. I did like the soft and warm bun though and the lobster was definitely fresh. The side of fries were more like crisps, but good nonetheless. I also shared the Seafood Spaghettini which was on point with lots of garlic and chilis. Hence, the flavours were intense and appealing. 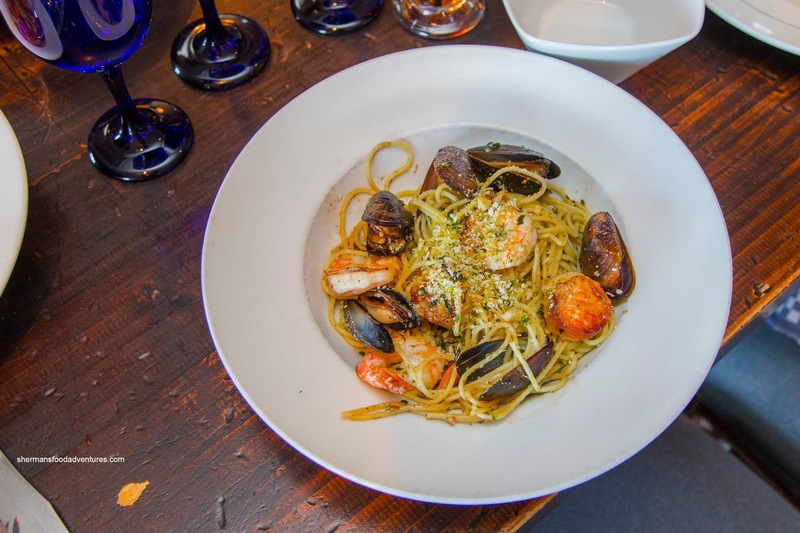 The pasta was al dente while the seafood was prepared properly including the buttery seared scallops. Viv had something along the same lines with the Linguine with Seafood. Once again, the ingredients were prepared properly including the meaty shrimp that had a firm snap. The noodles were nicely al dente and salted. As for the sauce, it was tangy and bright. Both of our kiddies decided on the same dish (oh the horror!) in the Cheese Ravioli. This was also good with tender pasta pockets with lots of well-seasoned ricotta. The filling was moist, but hardly wet or soggy. They were topped with a tangy tomato sauce that was flavourful and impactful. 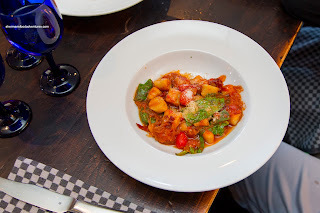 Costanza’s oldest son had the Gnocchi with bacon in tomato sauce. Although the sauce looked incredibly tart, it wasn’t at all. In fact, it was super mild and thick. However, the bacon really came through with both a crunch and saltiness. 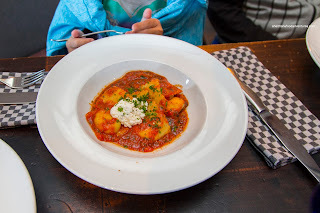 As for the gnocchi, they were soft and tender while not mushy. His other son had the Spaghetti and Meatballs which was a huge portion sporting meaty and lean meatballs. These were not dry and well-spiced. 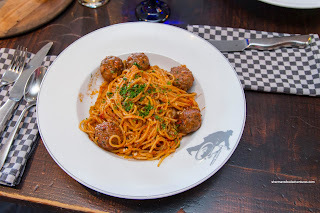 The pasta was al dente like the other dishes while the tomato sauce was balanced, well-seasoned and mild. 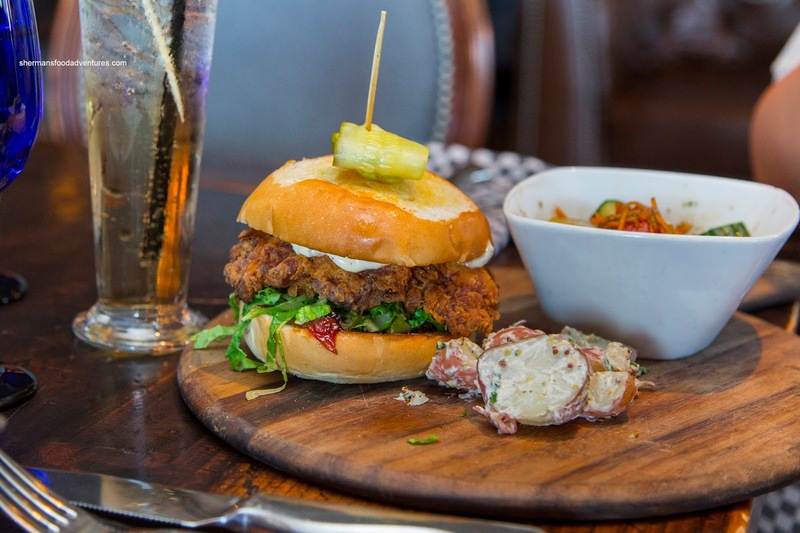 Costanza had the Fried Chicken Sandwich. The chicken was fairly moist and well-seasoned, but the coating was not crunchy at all. Exacerbating the problem was the overabundance of mayo. On the other hand, it wasn't terrible either as it ate okay as a whole. In fact, most of the dishes were quite solid, especially the pastas. 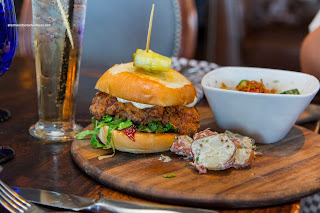 With that being said, the lobster roll and chicken sandwich weren't particularly memorable.